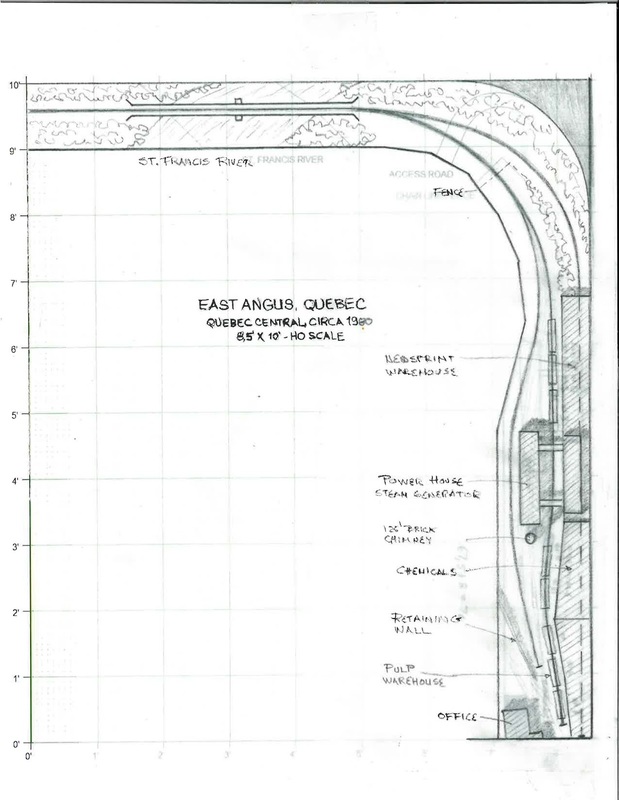 Since my last post, I was able to get some more information about East Angus that helps to understand how the plant was rail served. For this reason, and also because Roger Sekera wanted more details, I updated the track plan to reflect the changes in my understanding. On the positive side, the new discoveries make this plan interesting for a larger audience since the track arrangement was unchanged from the early 1900s up to the mid-1980s. Also, it helped to make the concept simpler to implement and operate. First, you will remark I removed altogether the staging track. It could be kept, but I felt it was a hard to reach gimmicl and wasn't truly required. This saved space to model the power house full scale. As it stand, very little compression was used. What you see is almost as close as you can get from the real thing. 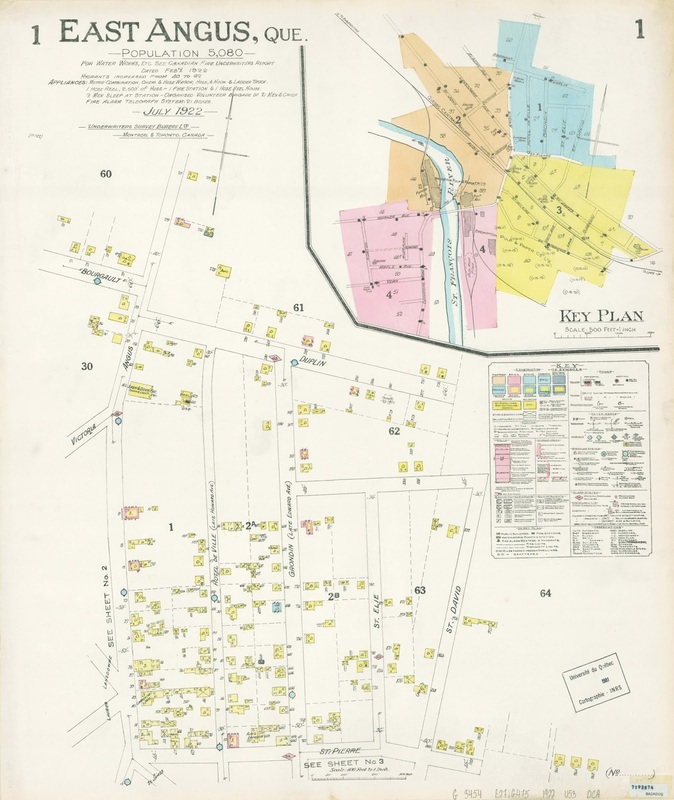 On the map, the green cars represent newsprint boxcars to be loaded. 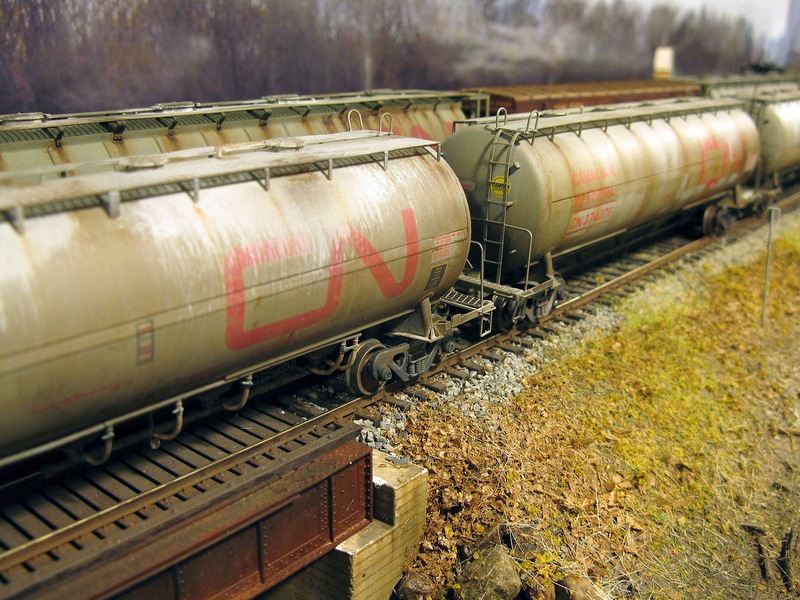 Blue cars bring on plant the required chemicals (tank cars, covered hoppers, boxcars). Since the plant was using the kraft process, any chemicals suitable for your era can be brought in. Remember, that mill didn't handle all the process. The red cars are other boxcars, mainly for additives or for wood pulp depending on your era too. 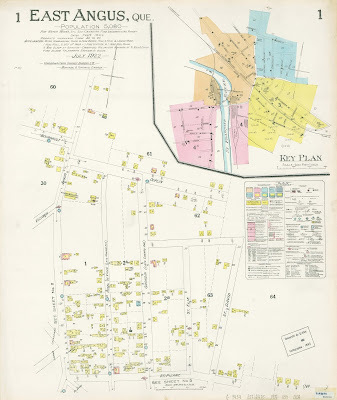 The second siding is used for switching and storing extra cars, however, while studying the old map, it became quite evident the plant used to receive coal to produce steam. The purple car represent a coal hopper and the coal pit. It should be noted coal wouldn't be required in large quantity since the plant was mainly powered by hydroelectricity produced by a nearby dam on site. In recent years, if modelling a Quebec paper mill, you wouldn't need coal at all. Finally, the orange cars are pulpwood cars. A shredder used to be located nearby the track near the yard throat. One could spot the car near the turnout if wanted. It would be more prototypical. In latter year, it seems woodchip and pulpwood were brought by trucks and trains, but at the other plant. Thus, after the 1970s, I believe it would be better to drop that commodity and keep thing neat at this plant. So, as you can see, the East Angus plant is far to be a boring switching layout. Be it modern or old time, this one turnout industry is going to keep your crew busy for a while just as it was the case in real life. Before presenting this other small layout idea, let's talk about a long time favorite of modellers: paper mills. They are definitely a staple on North American layouts and no wonder why. They look cool, generate a large amount of traffic and handle a vast array of commodities by rail (paper, pulpwood, chemicals, kaolin, etc.). However, to often I hear complaints from people who absolutely want one on their layout at any cost, ending up with ridiculous compromises that have much more to do with a caricature than a real mill. On the other hand, we’ve all seen these extremely large and bulky representations of such plant at full scale. They make impressive scene but are a pain to operate due to poor access. With that in mind, you end up thinking paper mills can’t be modelled in small spaces in such a fashion they can keep their interest. A few years ago, Mike Confalone tackled the problem by only modelling the portion of the mill operated by the railway company when he did his St. Regis Paper scene. This way, he could get away with most structures and tracks, only representing the basic operations at the plant. On the other hand, you have people like Hunter Hughson who clearly decided to dedicate a shelf layout to the mill by including everything single activities on the plant. In that regard, I think he succeeded and I’m pretty sure it works as well as our Donohue mill, if not better. As it stands, our paper mill could work perfectly as an autonomous switching layout without requiring anything else in a 10’ x 8’ space, which is perfect for most spare rooms. 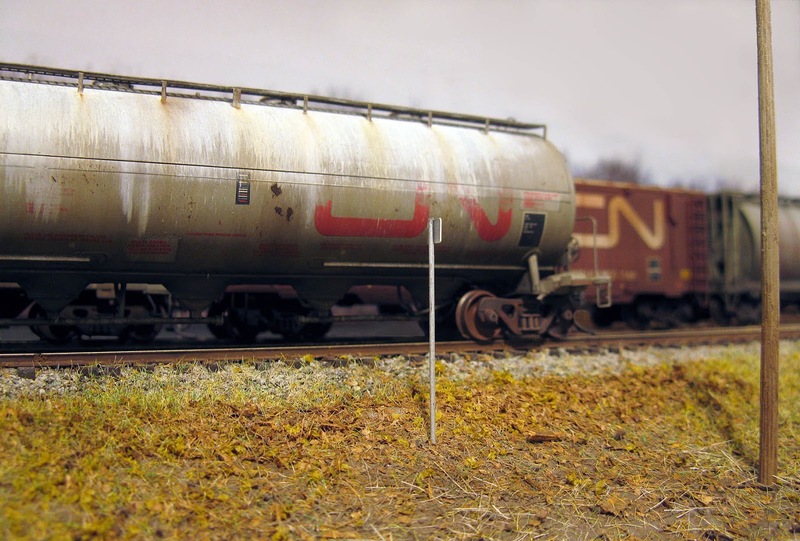 From an operation standpoint, using an industrial switcher locomotive would be both realistic and would eliminate the need for a staging area since we could imply the local train left the cut of cars on a storage siding which is generally the case. However, I wanted to see if I could model a realistic paper mill with less track and turnout. Something very simple yet grounded in prototype practice and that could offer a decent amount of operation while having plenty of modelling and scenery opportunities. And it seems I indeed found a suitable prototype in Southern Quebec that could give some people ideas. I certainly want to stress out this layout take as much place as Donohue and thus could look quite diminutive; however, it must be seen as an alternative for people wanting low trackage and to get away with runaround and switching puzzles. It is less about a race against the clock than working at a leisure pace. Thus, for similar space, freight cars, theme and era, one can develop very different projects with particular features. 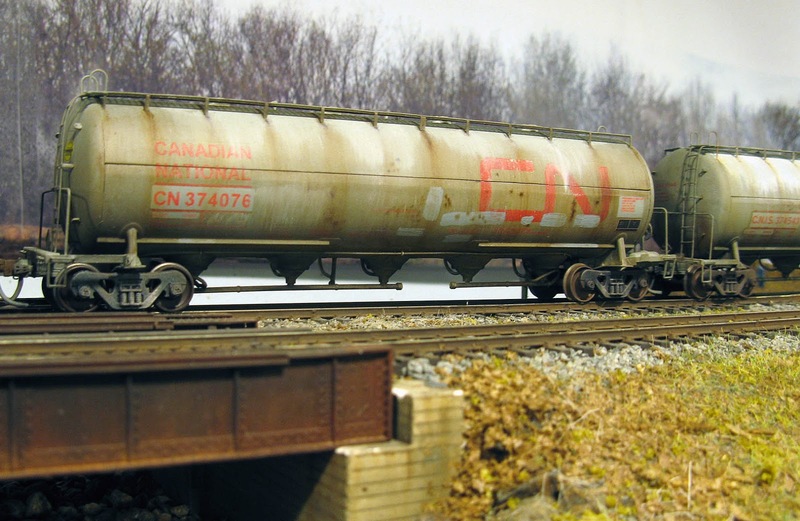 Another interesting prototype in this series of quick layout designs is based on a paper mill in East Angus, QC. It closed recently and was considered one of the oldest still in operation in North America, dating back to 1882. A fun fact was that the original mill structure – a classic stone and brick building – still stands to this day and was still used to produce newsprint, kraft paper and other finer paper not so long ago. A second mill, on St. Francis River eastern bank was erected in 1892. By 1907, the old mill was renovated and pioneered the kraft process in North America, making it a more than worthy prototype to draw inspiration from. More information about this historic mill can be found in an interesting article from Sherbrooke Record published on March 14th, 2016. The mill was served by Quebec Central Railway until the demise of this company not so long ago. East Angus mill was closed down once for all back in 2014-2015. Back then, rail operation was quite simple and only involved shipping finished products from a warehouse, some inbound chemicals and woodchip. Track density was low and rail-served structures would be easy to model without taking too much space. An interesting aspect of this mill was that it was in fact, as we saw earlier, made of two distinct complexes built on each side of the river. 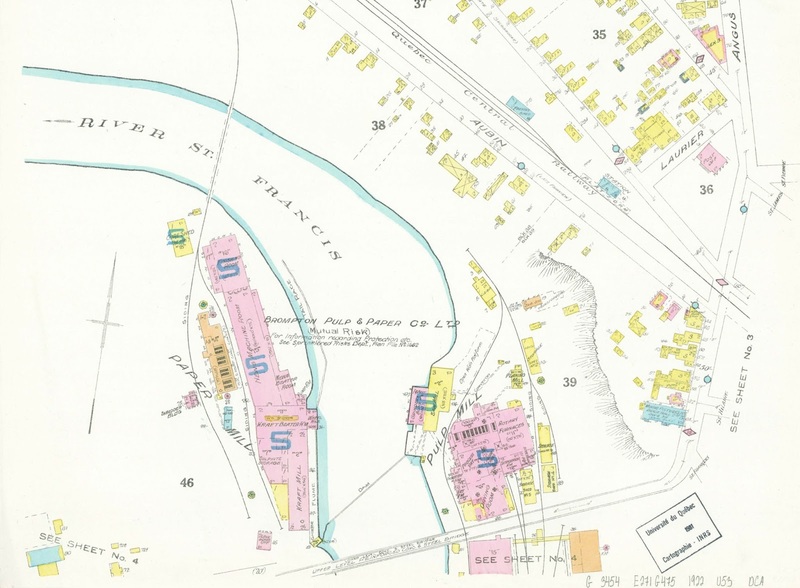 While studying mandatory fire insurance and topographic maps, I found out the western mill was in fact the kraft and newsprint plant. 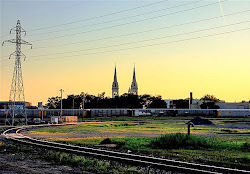 To access this plant, a siding crossed St. Francis River over a steel bridge where a long siding served the mill both for incoming loads and for shipping finished products. A second siding, acting as a drilling track and probably to hold coal hoppers for the power plant in the old days stood there too. Of interest too, the western part of the mill had only one siding serving the structure. No need for the usual vast array of tracks serving larger mills. This was due to a combination of factors including lack of space but also the fact a part of the process was handled by the eastern plant. Thus, it enables us to realistically model only a part of the process without compromising anything. Anyway, back in the 1970s and 1980s, it would have been normal that some commodities were trucked in, which for once, we can use to our advantage. 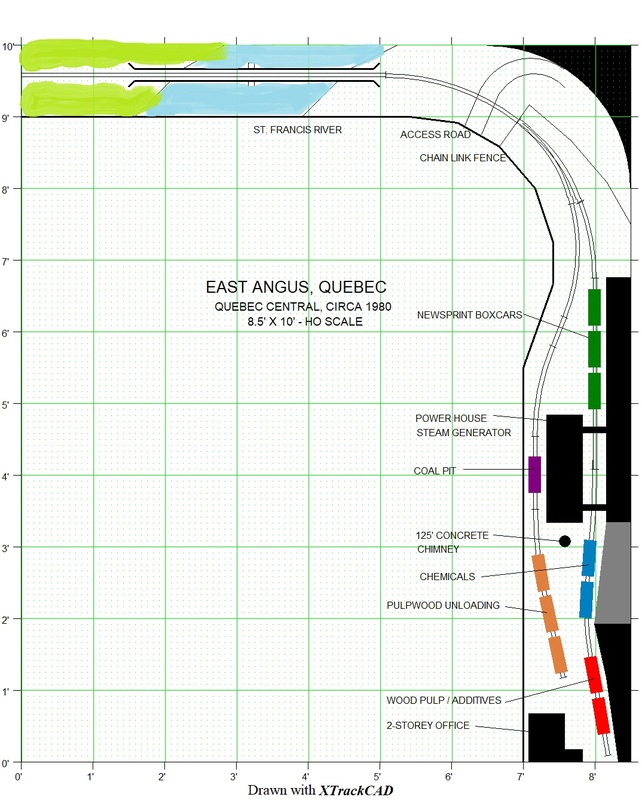 In terms of track plan and operation, this layout would be quite similar to Lance Mindheim’s one turnout layout project in MRH, except a second turnout would be required to stage the train behind the plant as if it was coming from the eastern plant. This staging would be optional, but I'm well aware that many people, even on switching layouts, like the idea their trains emerge from somewhere. With a switching lead of 66 inches, quite long trains (one 4-axle locomotive and 8 cars, which seems to have been quite standard in the 1980s) could be built up with enough space to perform realistic moves. Add to that the extremely attractive feature of seeing the locomotive run over the bridge several times during a single session. 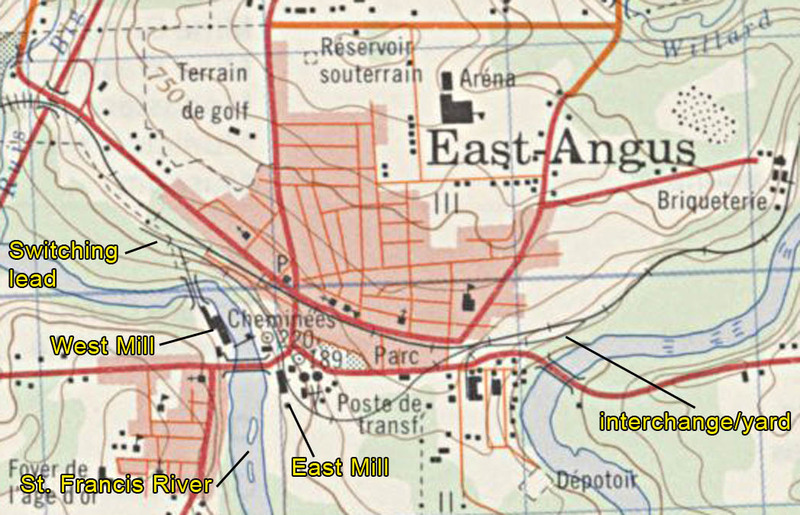 As for the plant itself and commodities carried, maps indicate the mill handled the manufacture of kraft paper and newsprint. 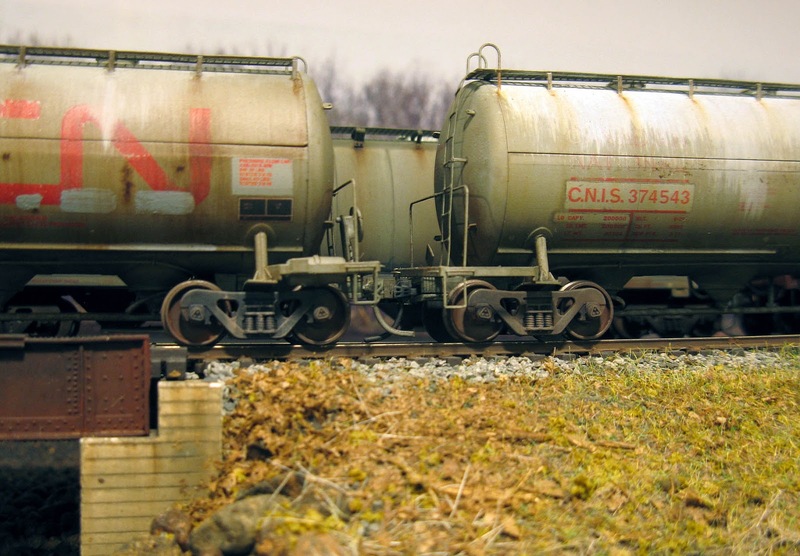 At the end of the track, most inbound commodities were unloaded in warehouses identified as “sulphite storage”. This is where boxcars and chemical tank cars would be spotted. At the other end of the mill, near the bridge, was the finished product warehouse. It wasn’t a fancy modern covered loading area but rather a more traditional set of doors along the siding, making it a perfect feature for car spotting. 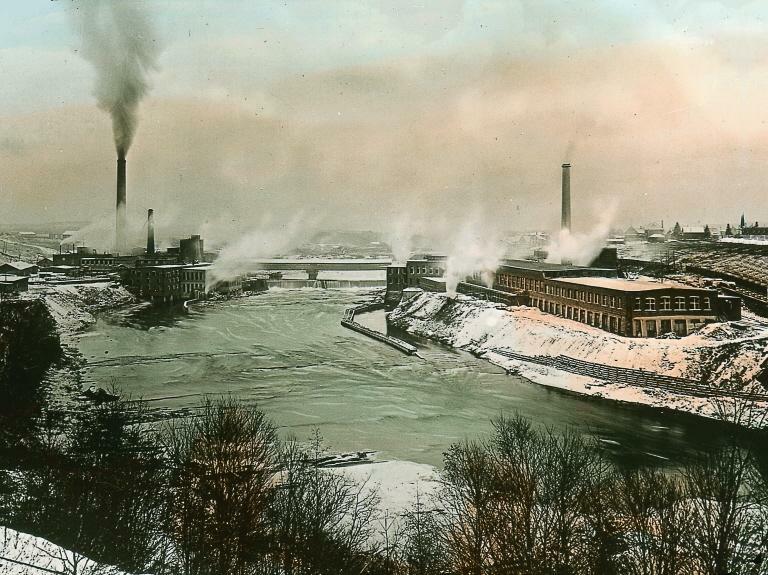 When the mill was later modernized, a steel warehouse was erected there. While being light on trackage, this layout would have an impressive ratio of scenery and industry. 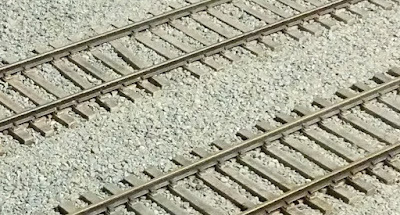 Switching moves wouldn’t be overcomplicated, but applying common railway practices would make it a neat challenge particularly since only one siding serves the mill. Personally, I would operate such a layout in the early 1980s, just before tracks were removed at the western mill to enlarge it. 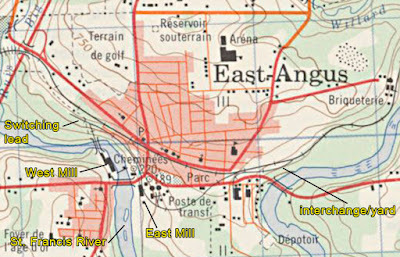 According to to a photograph shot in 1987 by Timothy Wakeman, Quebec Central ran extra trains to serve the plan. On the picture, we can see 6 boxcars and a tank car making up this train coming back from switching the plant and ready to leave for Sherbrooke. 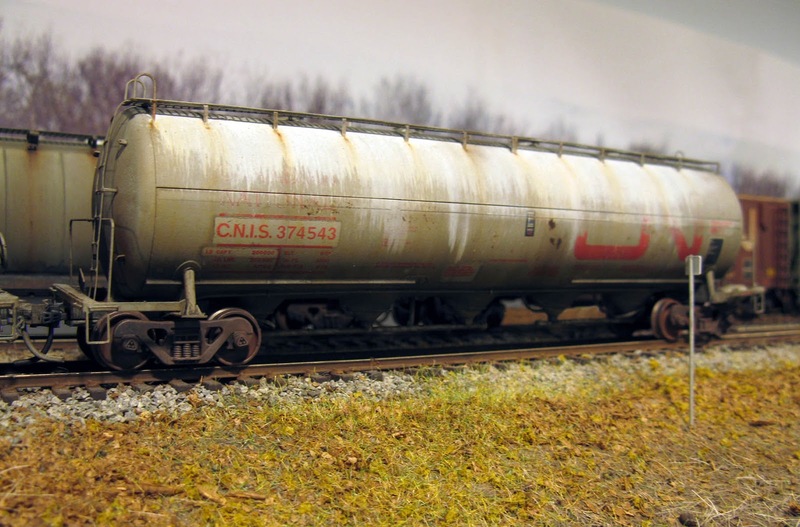 Rolling stock would include a lot of colorful 50ft boxcars, some chemical tank cars and a handful of older boxcars. As any CPR line in Quebec, Alco road switchers such as RS18 and RS10 would be mandatory to perform the task and a caboose (Angus van) would make it a very pleasant sight. I recently mentioned I was exploring a set of ideas for a small layout in a diminutive room that will eventually be available in my house. 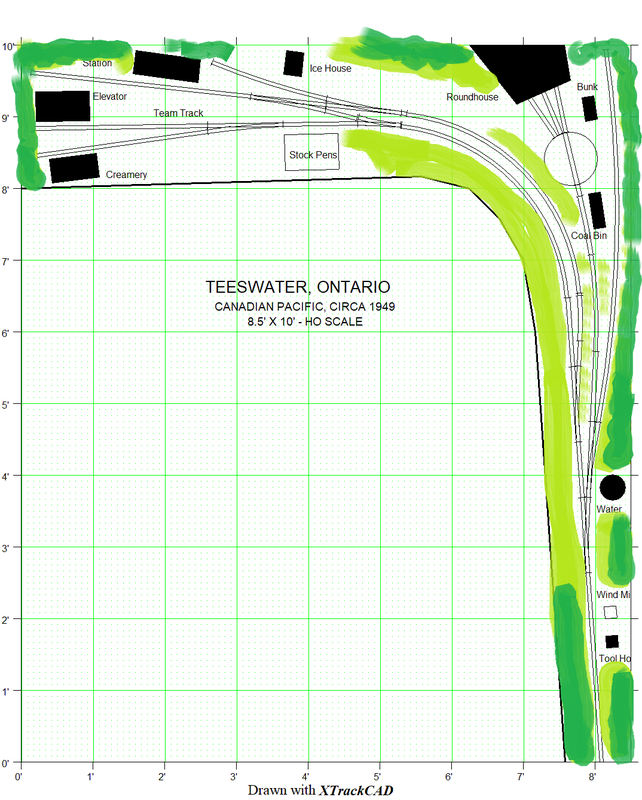 Among many options, I revisited a classic branchline terminal in Ontario called Teeswater which is well documented in a series of articles on Old Time Trains and in many printed books. Now, even if I'm not fan of the "I want it all" mentality, such diversity in a realistic context is bound to interest many people. While the layout could be built exactly to scale, the small putative room can't handle it, so for the sake of design I simply bent the track plan over the corner. Also, I decided to locate the roundhouse on the other side of the track. It saves space, looks better and is not a hindrance to operation. 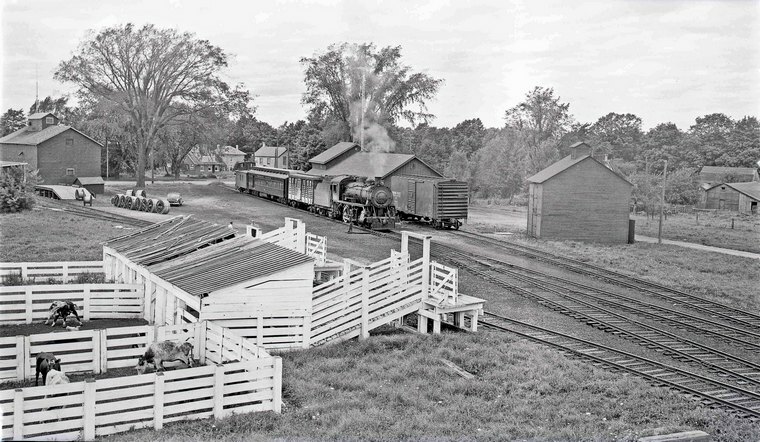 From a scenic perspective, the station would be well framed between the taller structures (elevator and creamery) hiding the wall and the lower stock pens and ice house. As for the roundhouse scene, it would have this "lost in the middle of nowhere" look that would make it a very neat backdrop. Operation is all about mixed trains and traffic is small but diversified. I don't consider staging would be required but a length of track is provided and partially hidden by trees. This is where the train can emerge from the outside world and enter the terminal. I didn't look into details but timetables are available. Motive power would consist of CPR D10 4-6-0 which are available in brass and soon in plastic by Rapido. Another great terminal would be Walkerton in the same style, era and type of location. While Walkerton is less crowded, it has the same basic features that makes it an interesting little prototype for small space (or even large space too). 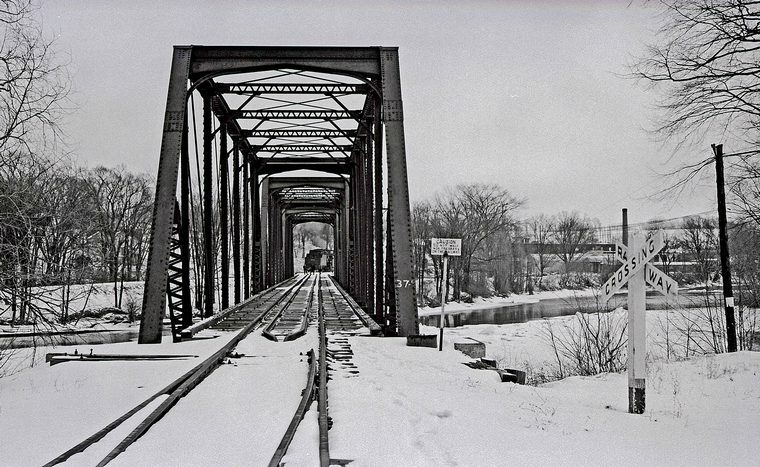 Given the engine facilities were located on the other side of Saugeen River, that could make a very neat layout made of two sections divided by a large and neat river scene with a three span long truss bridge. In my case, I dropped the engine facilities and replaced it by a "hidden" manual turntable that can be used to reverse the locomotive or other cars (caboose, combine, etc.). On the other hand, I kept the bridge since it was used as the lead track to switch cars in the small yard and was located right by the first turnout. Take attention how the public road grade crossing would need special attention by the crew, adding another layer of interest and the possibility to use the whistle. I've drawn the plan using commercial turnouts, but I firmly believe most of them should be handlaid to ensure smoother transitions and a continuous flow of the track. As for myself, I believe both prototypes have their own merits. If I was building a larger layout based on the Bruce lines, I guess my choice would be to have Teeswater as my main terminal. 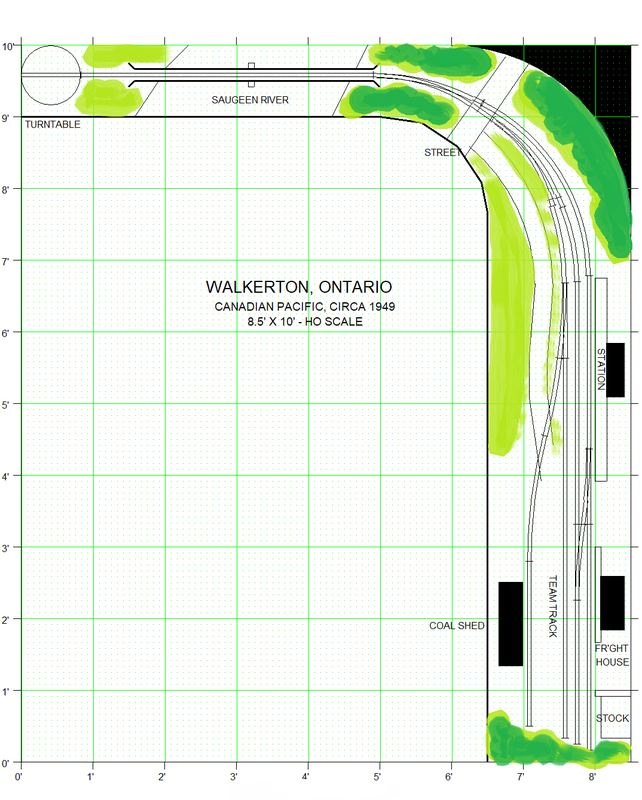 On the other hand, I think Walkerton would be better choice in term of space, scenery and action for a shelf layout. Sure it is diminutive, but the scene is more attractive and less gimmicky. You will also remark a gradation between low structure and scenery at the front and larger and taller structure in the background. In my eyes, this can make a layout far more interesting to operate. And speaking of operation, working the small yard must be a real treat! 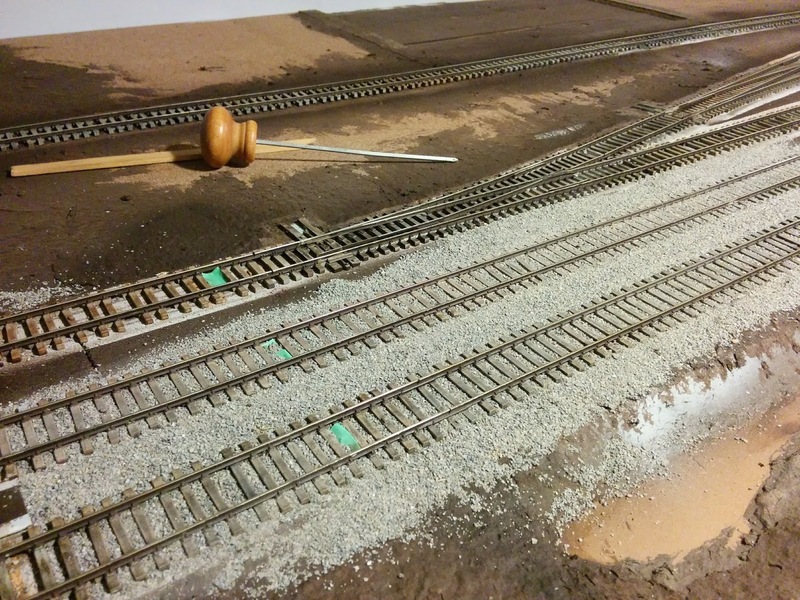 After three ballasting sessions the main line in Villeneuve is now entirely done. Nothing beat the satisfaction of seeing tracks turning from mere toys to the real thing during that process. While doing the mainline was a piece of cake, the siding will be much more complex to do due to subtle variation in texture and color due to less frequent maintenance. I can clearly see some experiment ahead though we have sufficient photographic data to succeed. A while ago, I repainted and relettered a group of 3 Intermountain Procor Pressure Cars and started to weather them according to prototype pictures. Cement is a nasty ladding and these cars generally weather quite badly, which is an effect I wanted to replicate. It meant the weathering process would be long and more complex than usual, but at the end of the day, what's the problem with waiting if the result is there? Hard to believe I started working on this project about a month ago. The reason is quite simple: thick oil paint coats require a longer drying time. It was also an exercise in patience and instead of rushing the project in a day as I usually do, I took time to do each step at a leisure pace, leaving the models on my office shelf and adding details as I went on. Once again, the trick is always to break down a complex project in multiple parts that can be done in a reasonable amount of time. Such steps can be fading the paint, altering the lettering, adding patches, rust streak or simply weathering the trucks. I feel this make the weathering process less intimidating and reduce greatly the risk of doing something wrong. As for the weathering process, nothing new under the sun, I simply applied the usual techniques: weathering powder, PanPastel, oil paint, washes and drybrushing. First, I've been working on a redesign of Hedley Junction blog over the last few weeks. I've been busy with other jobs too, but I don't think the update will happen soon. I first flirted with the idea to move to Blogger's Dynamic Views template which would have enabled the blog to be easier to navigate, unfortunately, many useful gadgets can't be implemented without serious customizing and coding and, as we speak, I don't have time for this. Second, I'm actually working on achieveable layout ideas yet again based on Southern Quebec intricate railway network. While the track plan and basic operation scheme is done, a few additional material needs to be gathered to make it useful to others. Once again, it's not a matter of quantity but about quality. Third, the move toward a depiction of Murray Bay Subdivision under Chemin de fer du Québec as Chemin de fer Charlevoix (CFC) is steadily becoming a real thing. Most people following the blog must ask themselves when this never ending time shifting toward the future will end... Are we trying to escape our responsabilities? Not really. 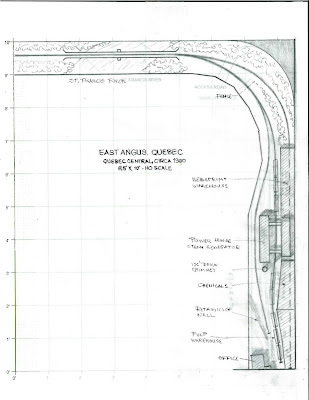 But as Rene Gourley explained on his blog, we all try to create "our railway" and as much as CN is attractive, I must admit I have a better knowledge about the CFQ since I grew up with it for 25 years now. Many people model CN, but nobody never tried to model the Charlevoix vibe and I feel it's our club duty to to this railway justice. Finally, while speaking of Rene Gourley, I found out while working on the blog I forgot to add his blog to my recommended website. Rene has been a regular reader of this blog for a long time and certainly an encouraging voice among a few ones that pushed me to reshape my vision of railway modelling. As always, his blog is always a nice read full of thoughtful hindsights. I’m glad to report only 6 feet of main line and passing track remain to be ballasted in Villeneuve. Things go smoothly because sifted a lot of material to not run short on supplies. 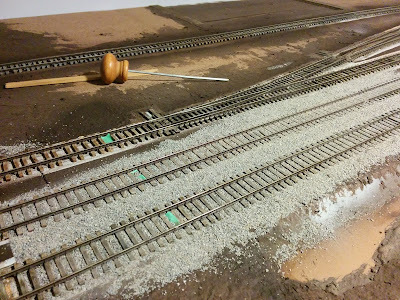 I’m seriously really impressed by that ballast mix. The color is good. As for the habitual darkening caused by the gluing process, I’ll take care of that at a later step when fine tuning and weathering the roadbed. Once again, it's not a matter on simply gluing rocks, other steps are required to bring them to life. This is why I ordered some DAP Weldwood Plastic Resin Glue has advocated by Lance Mindheim. According to Lance - which is generally a reliable source - this type of glue works particularly well powdery material and reduce greatly discoloration which is my main concern. As a matter of fact, I also find applying diluted glue with a spray bottle is always prone to produce a lot of mess and keeping the nozzle from clogging is a waste of time and efficiency. I'm curious to try it and see how it works. You can see in these pictures a better look at the new tie colors. They really look like wood and they blend nicely with the ballast color. To be honest, if I were modelling an old time track, I would certainly use the same recipe but with more powdery ballast. Oh, I’ve said it more than enough, but let me say it again: primer + oil paint is the way to go when painting tracks. Taking shortcuts don’t pay off and the additional masking is worth the effort. My professional career is all about keeping the balance between effort and effect. In this case, I see no reason to not do it. If you find the task too overwhelming, maybe it’s time to ask yourself if your layout is too big for your own sake! With that said, I expect all tracks in Villeneuve to be ballasted by the end of September and, possibly, Avenue du Sous-bois pavement. By the way, I'm seriously thinking about moving the modelled season in late fall. The reason is simple, at that moment of year, a big deal of trees have lost their leaves but not all which can be useful when you need to hide stuff with vegetation. Also, most weeds are full grown and dead at that time of year which makes embankments and ditches look great. Once thing is sure, I'm not into the vibrant fall foliage and I prefer the subdued tones so trains can stand out. And, to be clear, many refenrece pictures I have of the area are from that specific time of the year, making it easy to replicate the details as they should be. 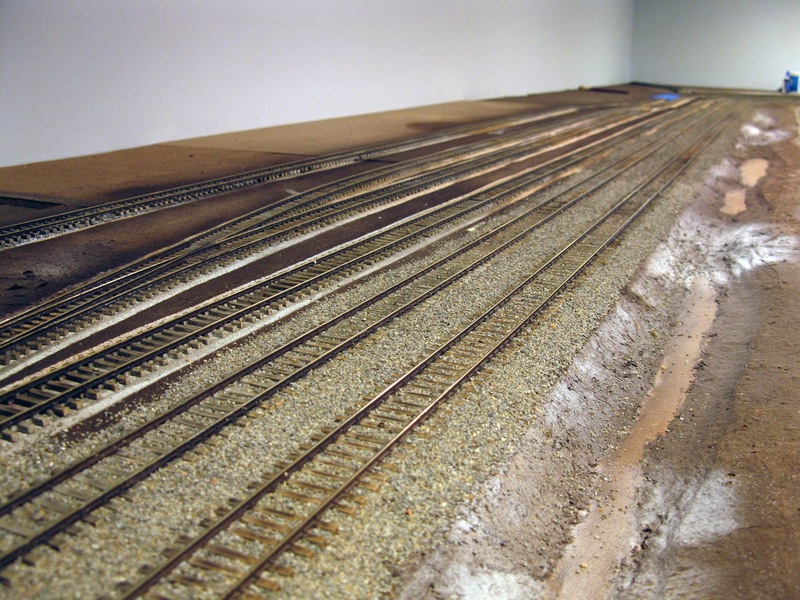 Edit: Of interest, Mike Cougill from OST Publishing, just released a very interesting article about track work, earth fill and ballast in what will be a series of two blog posts. Once again, Mike knows how to remind us how we often overlook what should be basic knowledge when planning and building a layout. It's well known modellers go back to their basement when summer decline and Hedley Junction is no exception to this rule. 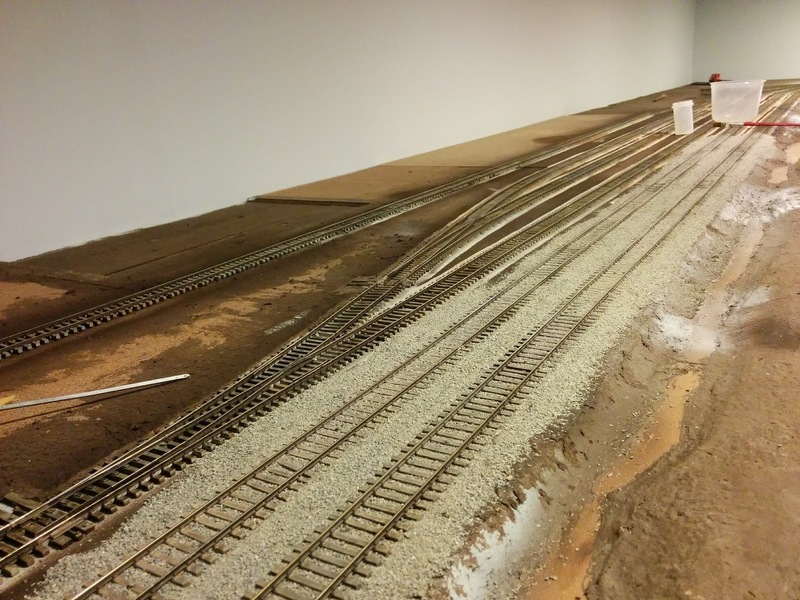 Last Friday meeting was short but productive and about 9 feet of double track were ballasted in Villeneuve. I don't yet have pictures with me, but the dried result of the new ballast mix and tie oil coloring really paid off. Would I go back to the dark brown chocolate ties? No, except if doing well-maintained mainline. Meanwhile, Jérôme and I evaluated the possibility to add another siding in Clermont. 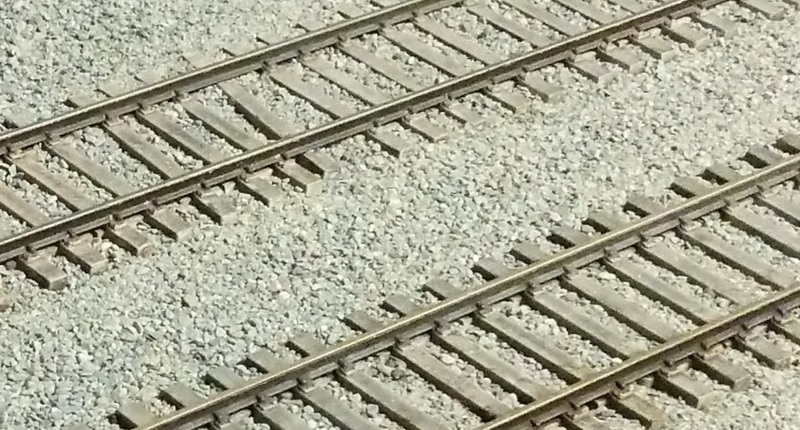 The prototype, as explained earlier, would require two sidings which would require custom turnouts and a lot of space. One thing is sure, Jérôme once again confirmed Clermont siding capacity was to low for our regular operation. He is able to work is way around, but he stressed out it isn't optimal at all and make operating train there a very convoluted experience. I'm not into switching nightmare thus it could be improved in a foreseeable future. As for Wieland, we decided to keep the status quo though the idea to have a real location where locomotives can start from and go to when beginning and ending an operation session has a lot of merit. I definitely believe this idea will need much more refinement to be a credible proposition. We also started to gather plastic parts from various kits (windows, doors, brick walls, etc.) with the intended goal of building the Donohue office building. This project has been delayed for years and it's time to bring it to life. 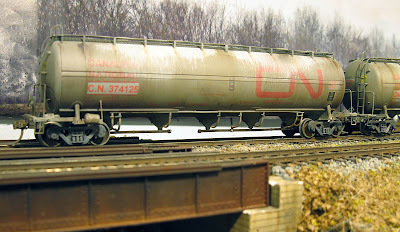 Among other revived long overdue projects are four CN Procor Pressure Cement cars I repainted earlier this year. 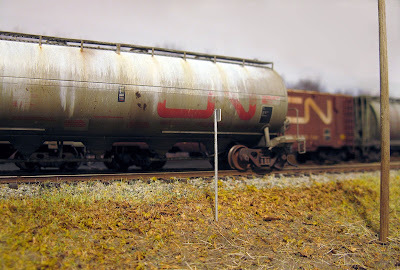 I'm in the last stages of weathering and hope to have them in revenue service soon. Finally, the collection cleaning up is slowly but certainly gaining momentum with a lot of material to soon be sold off. I certainly could sell every pieces on Ebay and make more money, but it's a lot of logistic and time I don't have. As George Dutka said, you've got to brace yourself about selling your stuff on the cheap when going taking such a drastic decision. Oh well, live and learn they say!